Increase the value of your home and enhance your curb appeal with quality garage door replacements from Garage Service Pros. As an independent family owned garage door installation company, you know that you will get value for money with every install. Garage Service Pros will help you boost your home’s character and display your own unique tastes. As one of the easiest methods to update your home, we make it even easier. 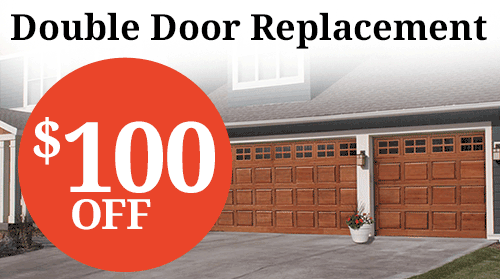 Garage door repairs keep your doors operating smoothly., but a replacement gives your property a whole new look. From classic doors, rustic, and contemporary looks, you have numerous options to suit your style. You will also improve the security of your property with a strong garage door that works efficiently and smoothly when you have it installed by Garage Service Pros. With quality workmanship and superior parts and doors, you can enhance your property and security with style. Choose from our wide array of durable garage door options and we will quickly replace your old door and install a new garage door for you. No hassles. Quick service. Superior craftsmanship for 100% satisfaction guaranteed. Protect your vehicle and personal property with garage door replacements from the experts at Garage Service Pros. Exceptional quality, design, and value. With a tradition of excellence and customer service, you are assured of an overhead garage door that will add value to your property. Choose from their wide range of garage doors and let us boost the value of your home. Energy efficient garage doors for residential use. As the largest manufacturer of fiberglass and steel residential garage doors, their quality is renowned. With a wide variety of Energy Star® rated garage doors and styles, you are sure to find one that will enhance your home. Our service is only superseded by the workmanship we deliver. We are always ready to help you with your garage door installations. We do not consider any job too large or small for us to handle. Our licensed, bonded, and insured garage door professionals are capable and dependable. If you have any other problems with your garage door, we can assist. Feel free to call us with your questions for any job. Or if you need emergency services for repairs of your doors, garage door opener, springs, rollers or any other issues, we will be there quickly. For quality 24-hour emergency service, 7 days a week, choose Garage Service Pros.